For the last several years my Grandma, near age 90, has been living in a nursing home not far from where she used to live with her husband when he was still alive. The expense of the nursing home is more than both her pension and Social Security can pay for, so her house was sold and that money is going to her nursing home costs. My Grandma has a regular visitor at the nursing home, a cousin she’s been friends with for many years who is near age 80. This friend didn’t make a lot of money, spent years as a stay-at-home mom, and it seems the men in her life were not always so good. 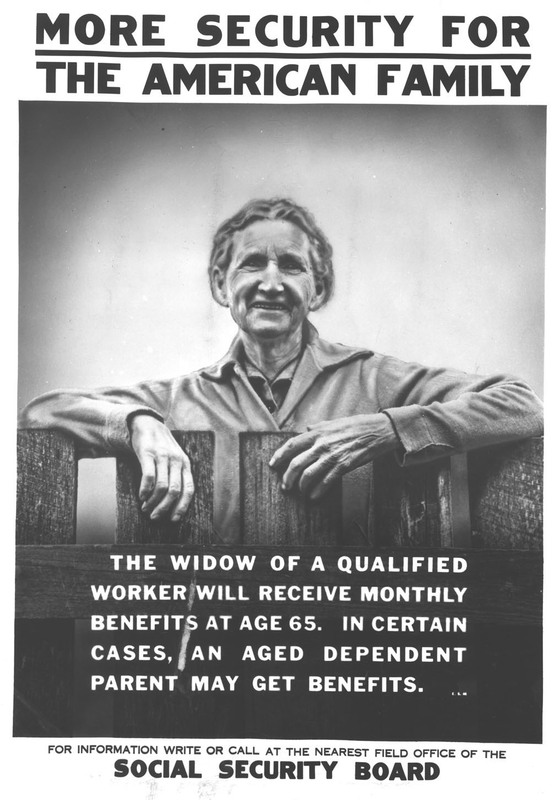 Now that she’s past retirement age, she has to keep working because her Social Security is too low to live on. She’s had a tough life according to my Grandma, and now she’s having a tough old age. She’s been a loyal friend to my Grandma for many years and visits her regularly, keeping her company and bringing gifts. You can see she lives in pain, as many at that age have to contend with arthritis and other things we can look forward to if we live long enough. Women tend to live longer than men, and for those who stay at home and raise a family, Social Security is often the only safety net to prevent total destitution should you outlive your economic usefulness. My Grandma’s friend works crappy jobs out of necessity for people who don’t really care to employ her. This woman is but one of many who fall through the cracks of an imperfect system. Nearly every politician admits that the Social Security trust fund was raided and robbed. The Republican solution is to cut the program, the Democrat solution is to compromise with the Republicans. Out of all the issues to come out in the Democratic campaign, my hope is that the expansion of Social Security will take the forefront. Programs like Social Security form the bedrock of a humane and civilized society, and only those who share this belief should be let anywhere near the engineering of such an important program.